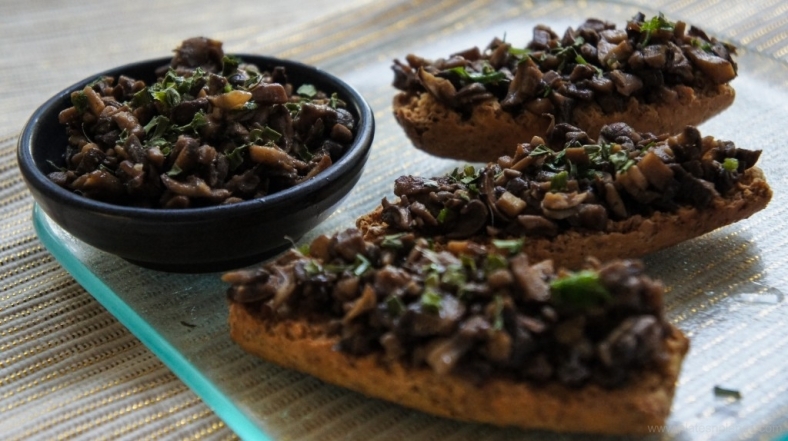 When I am in rush and having friends coming over in few hours, I go for somefast’n’easy-to prepare finger food as crisp tools with mushrooms and anchovies. They go amazingly with a glass of wine and usually I have all ingredients in my fridge, so I don’t have to waste that little and precious amount of time that I have by going to the store. Cut mushrooms and an onion on very small pieces, just few mm. Heat olive oil in a wok, than add an onion, stir it for a minute and add mushrooms. Stir it for few minutes until mushrooms became soft, than put heat on medium and continue stirring ’till water vaporizes. At the very end add aceto balsamic sliced anchovies and parsley. SERVE on crisp rolls or on toasted sliced of bread.